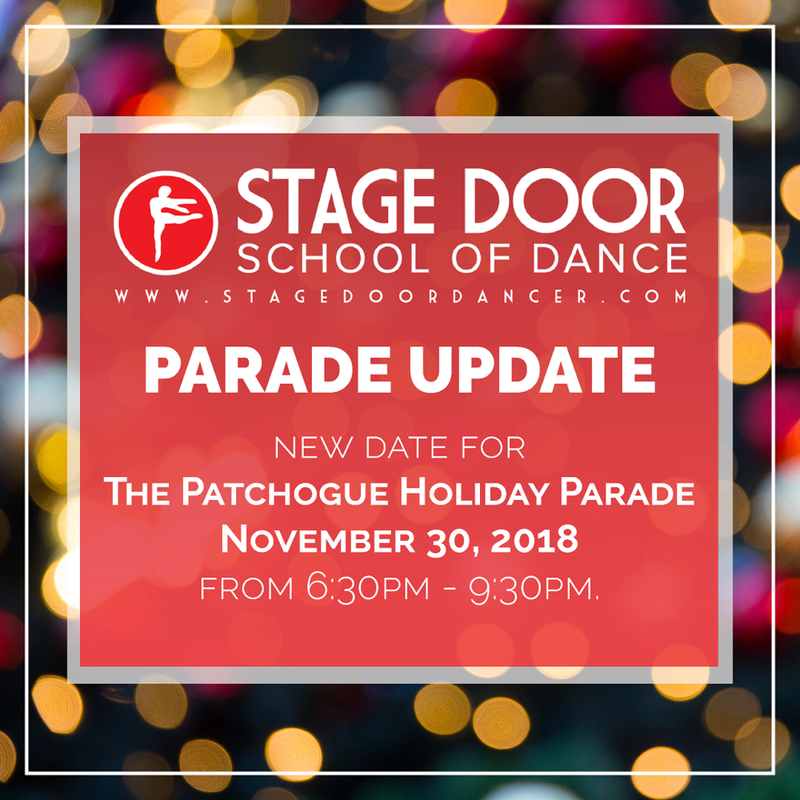 Catch Stage Door in the Village of Patchogue Holiday Parade! The Patchogue Holiday Parade has been rescheduled for Friday, November 30th, from 6:30pm -9:30pm. Our dancers have been working hard to bring you yet another stellar parade performance. CHeck out our photos and video below for a small glimpse of some of the holiday magic our dancers will be bringing to the streets of Patchogue, now on November 30th!